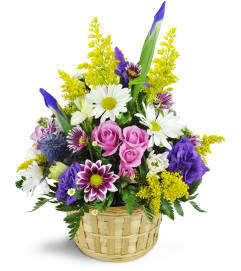 All of their cares will simply slip away when you send someone our Lovely Way Bouquet! 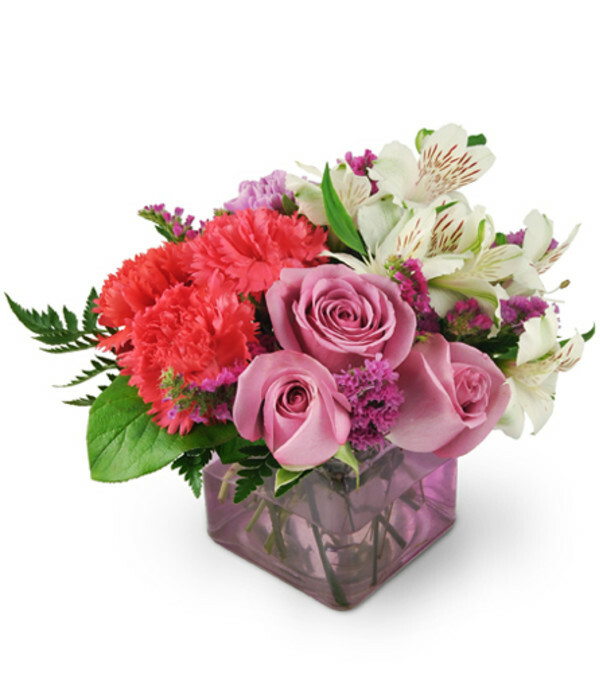 A charming mix of lavender roses, delicate white alstromeria and rapturous pink carnations makes for an elegant and lovely arrangement that's perfect for home or office. 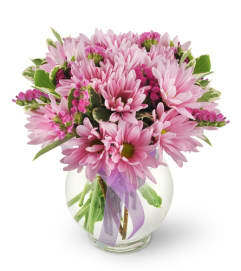 With a matching violet tinted vase, you'll be sure to make someone's day in the best way! 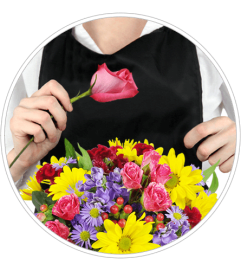 A delightful arrangement of purple roses, alstroemeria, pink and purple carnations, and statice in a lavender glass vase.